Are You Ready To Get Started With This... Today? 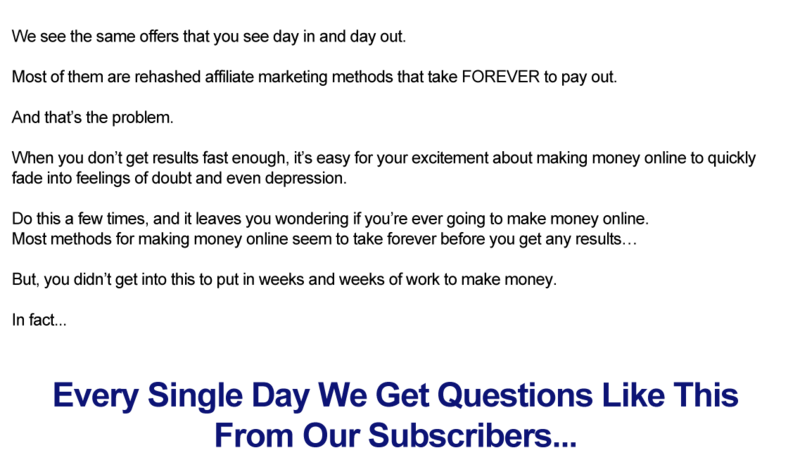 Inside the video training, you'll see EXACTLY how this method works, how to get started with method ASAP. Inside this program, You'll have 1-1 access to me where i'll guide you hands on to make sure you see success. This is because most of the people out there won't understand by reading books or seeing a couple of videos. Thats where i'll be guiding you over the shoulder experience. To get the fullest out of this. Secret Technique To See Results Faster. Inside this program, You'll be seeing result but i'll also be showing a technique that can speed up the process. "Yes! I'd Love to Join in This, But How?" You've heard what I have to say. This program is Great. But what do i have to worry about? To be honest, you could skip this offer now and go over various different methods yourself . But you'd have to shell out at least $3000 Before you find something worth it. But Don't Worry You're In the Safe Side. You won't have to spend $3000 today. But there is one thing that you have to keep in mind that this offer is only limited to a few people. 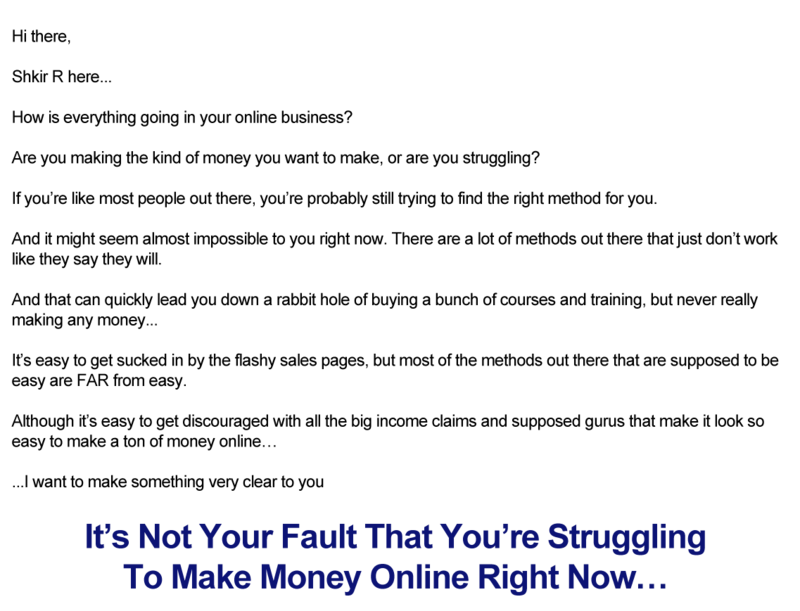 We don't want anything to stop you from learning this Simple method that helps you build a sustainable business online. 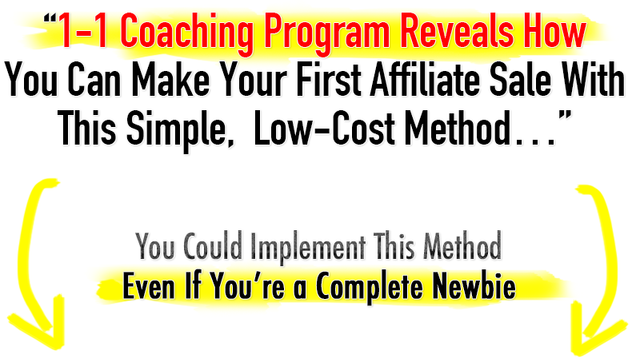 We know the low price makes this easy for you, but we want to make it even easier for you to get Rapid Affiliate Marketing Profits. That's why we're going to give you a full 30 days for you take action on this. And If you still don't see results after 30 days. We'll refund you in full and Give you an extra $500 for wasting your time. Last edited on 10th Sep 2018 at 10:51 AM. How much does it cost for me apart from the coaching fee? Only $40-50 sometimes even less. Do I need to have any skills or experience? What do I do if I need to talk to you before I buy? I searched on skype for you but couldn't find you. How can I contact you about this offer please? I still haven't received a reply. I’m not sure why you can’t find me. But contact me in email so we can take it from there. Sorry about that. Contact me through email and we can take it from there.